Kids are naturally hearty eaters, so it's only fitting that we serve them food that is lip-smacking delicious. 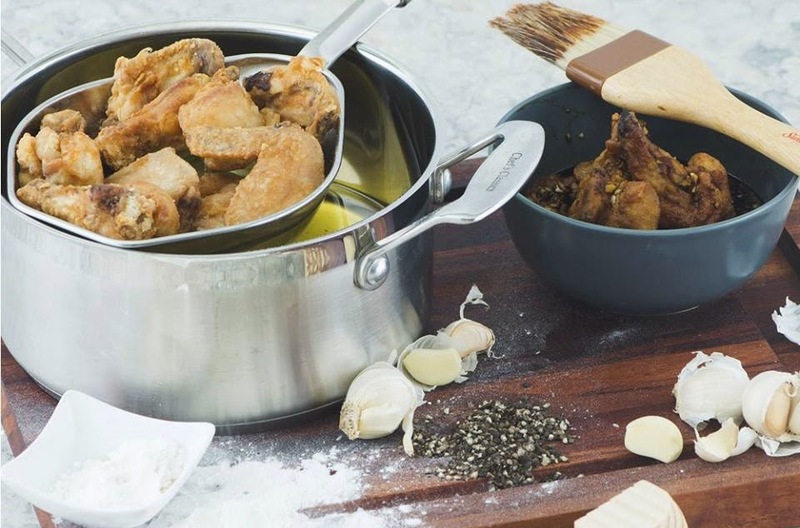 Master this recipe for soy garlic chicken wings because it will surely be gone in seconds once the little ones get their hands on it. Easy as A-B-C but scrumptious enough to get a thumbs up even from the pickiest eaters. 1. Separate the drumettes from the wingettes by removing the wing tip of the chicken wings and cutting in the middle. 2. Mix flour, salt and pepper in a bowl for breading, and dip the chicken wingettes and drumettes until covered. 3. Fry the chicken in the Fennel sauce pot until golden brown. 4. Once you set aside the fried chicken, mix all the ingredients for the soy-garlic sauce. 5. Season it with salt and pepper to taste, and coat the chicken.